Winiw introduces spunlace nonwoven fabric with a modern spunlace technology. This spunlace microfiber fabric is made by either carding, air laying or wet-laying that results the bonded fabric being a nonwoven one. Fine and high pressure jets of water are used to penetrate wet or dry fibrous webs to produce Spunlace nonwoven felt. 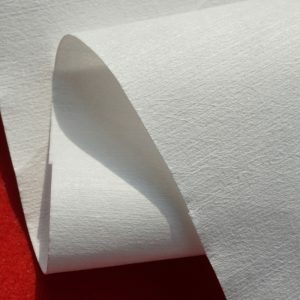 Our product range includes plain, aperture, embossed, printed, impregnated and some chemical treated spunlace roll goods with a truly world class quality. These spunlace nonwoven are characterised with flexible entanglement which does not does not damage or affect the original characteristics of the fibre. 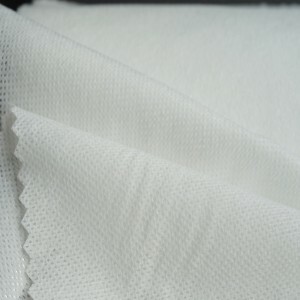 The process gives the products an appearance that is much closer to traditional textiles than other nonwovens. The spunlace technology lowers the fluffiness and increases the strength of the fabric in comparison to the other nonwoven of the same thickness. 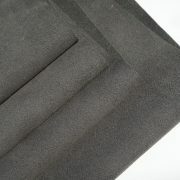 Spunlace Non Woven Felt of Winiw has a thickness of 20-150gsm with a width of 20-330 cm. It provides high and rapid moisture absorption. 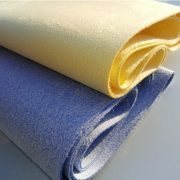 Good ventilation is another feature you can find in the fabric which provides a better cleaning and drying experience. There are various patterns available with soft and good shape. We supply high quality materials best suitable for hygiene products at a reasonable price. These nonwoven are perfect for tissues and baby diapers with no adhesive reinforcements that are easily washable if required. Winiw maintains a strict frame of hygienic conditions throughout the entire manufacturing process of spunlace for wet wipes, wound care and other hygiene product applications with very wide acceptability.